Some American built and tuned muscle goes for a little drag racing. We all know that Hennessey Performance never holds anything back when it comes to horsepower. Consider it the Texas-based tuner’s specialty. And now the rest of the world is apparently aware and appreciates Hennessey’s devotion to raw horsepower. 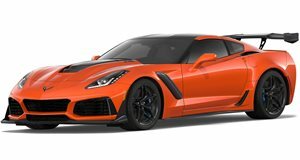 This Chevrolet Corvette ZR1 that underwent the Hennessey treatment has found a new home in Russia where its owner apparently likes to take it drag racing. Yeah, you'd do the same if you had one too. In the following video, watch as it goes up against the likes of the Porsche Panamera Turbo S, a couple of tuned Nissan GT-Rs and some modified BMW M6s. We always knew the Corvette ZR1 was a beast in stock form, but does Hennessey’s work help it prevail against some mighty fine competitors?